Clever Aunt Ant has just moved to the zoo. Speaking in homophones, she describes the quirky animal behavior she sees. There's the MOOSE who loved MOUSSE and ATE EIGHT bowls, and the WHALE who was ALLOWED to WAIL ALOUD--and that's just for starters. 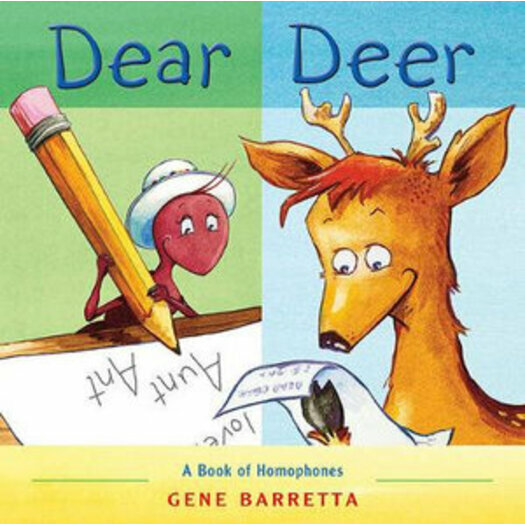 This playful picture book introduces children to the richness of language through the concept of homophones. A romp through the zoo has never been so eye-opening.